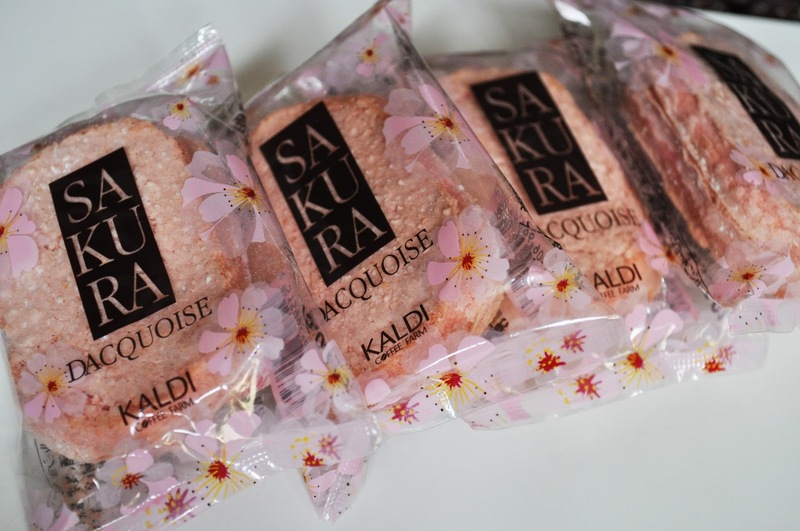 These Sakura flavored Dacquoise cookies are absolutely divine! 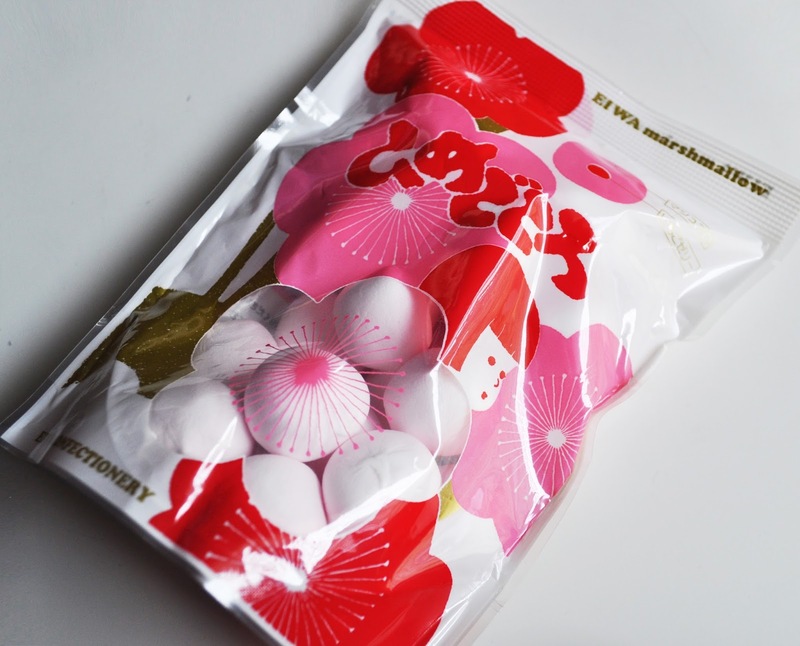 Besides the beautiful cherry blossom scenery that comes with Spring, I also look forward to all the Sakura-flavored treats that come with the season. 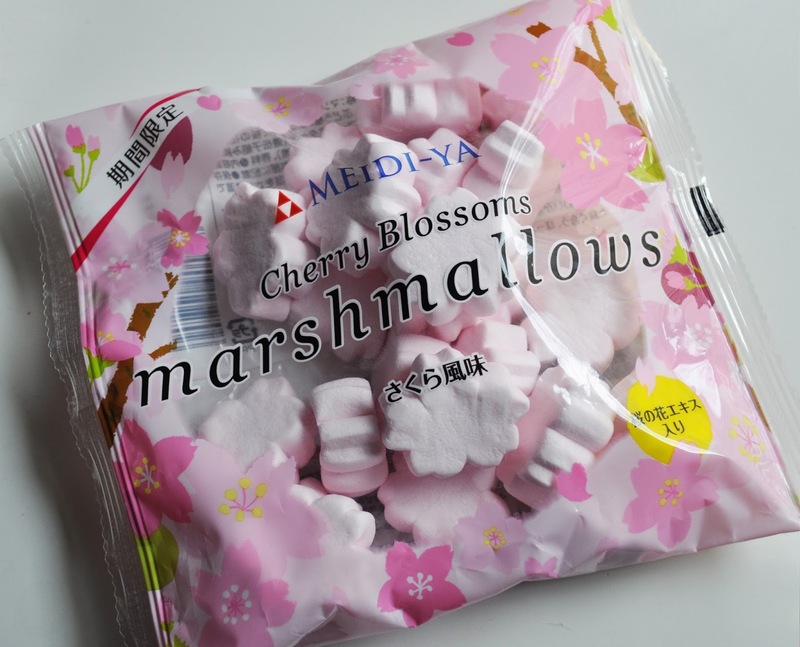 Sakura flavored (and shaped) marshmallows. 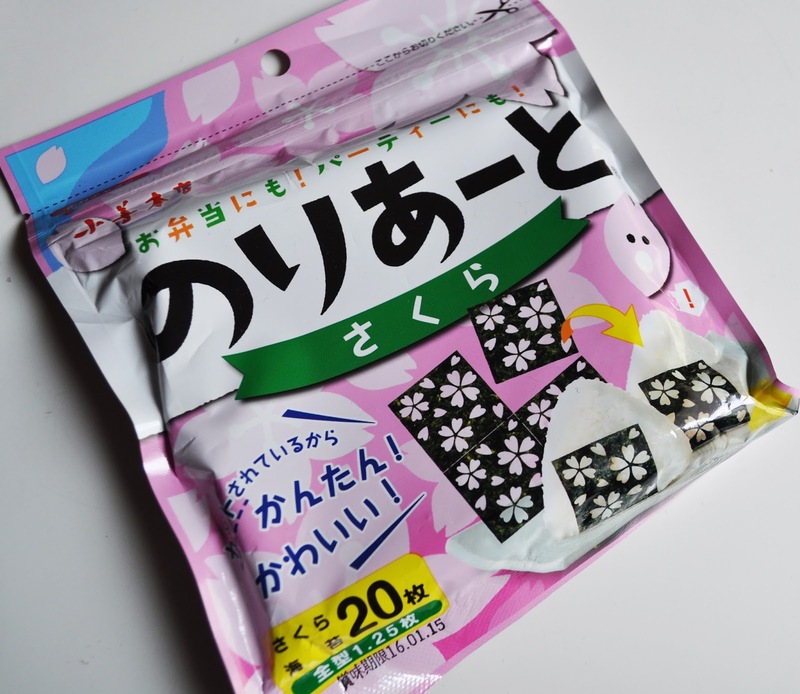 Not sakura flavored, but these Strawberry jam filled marshmallows are yummy. Nori with cutout sakura petals. Who knew onigiri could be so fashionable. 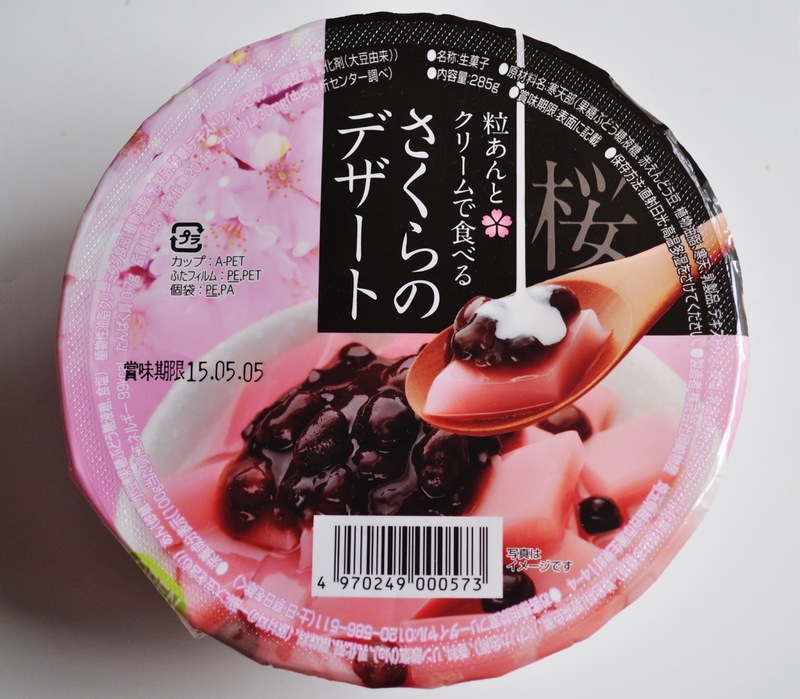 A sakura flavored gelatin with azuki beans and cream. I've never had this before, but I'm excited to try it. I like all three flavored, but I think the black tea with cherry blossom is my favorite. A little taste of wonderfulness in a jar. Loving adding a spoonful (or two) of this to my yogurt. What Spring treats do you enjoy? Those cookies at the top look so delicious. 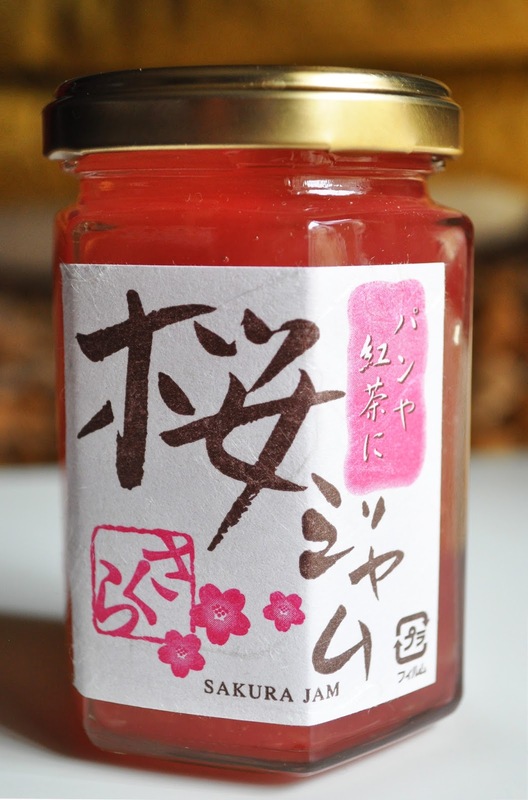 And I want a lipstick the colour & texture of that sakura jelly! I'm addicted to those mini Sakura flavored dacquoise cakes/cookies. They're spongy with this amazing whipped filling...must find MORE! Oh no, Yuzu is delicious. Sorry to hear that you're allergic to it. What happens if you eat it? I'm deathly allergic to Kiwi, which is no loss for me, since I don't like the fruit. I haven't eaten yuzu since I discovered the skin allergy, but when I had the eo on my skin, it basically triggered a really horrific eczema outbreak (I don't actually have eczema) that was really painful. So I've been avoiding citrus fruits. :( Food allergies are the worst. We really need to plan your Tokyo Trip, ASAP! I have eczema, although I haven't had an occurrence in years (just jinxed myself), and it's not fun at all. I LOVE Kyoto!!! Truly feels as if you've gone back in time. I need a trip to Japan just to eat the snacks...they look so good! 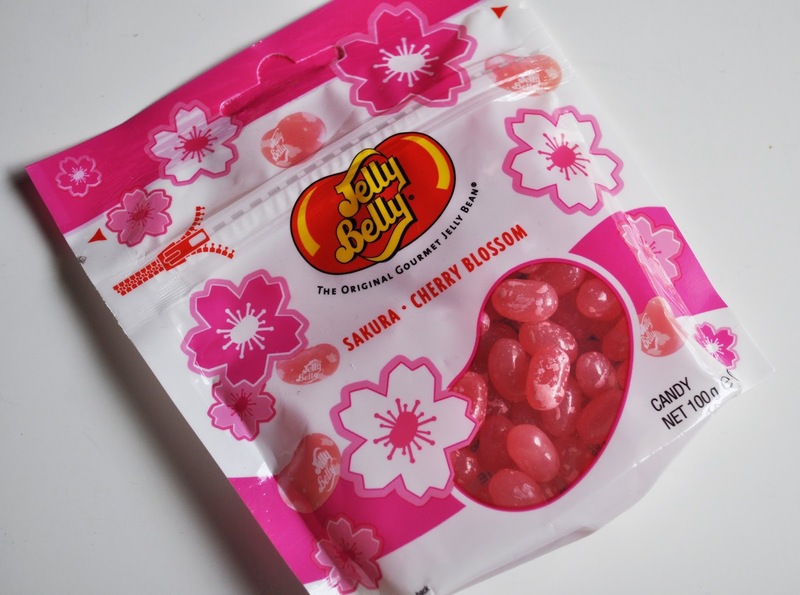 Lol, the Sakura yummy num nums are one of my Spring highlights.